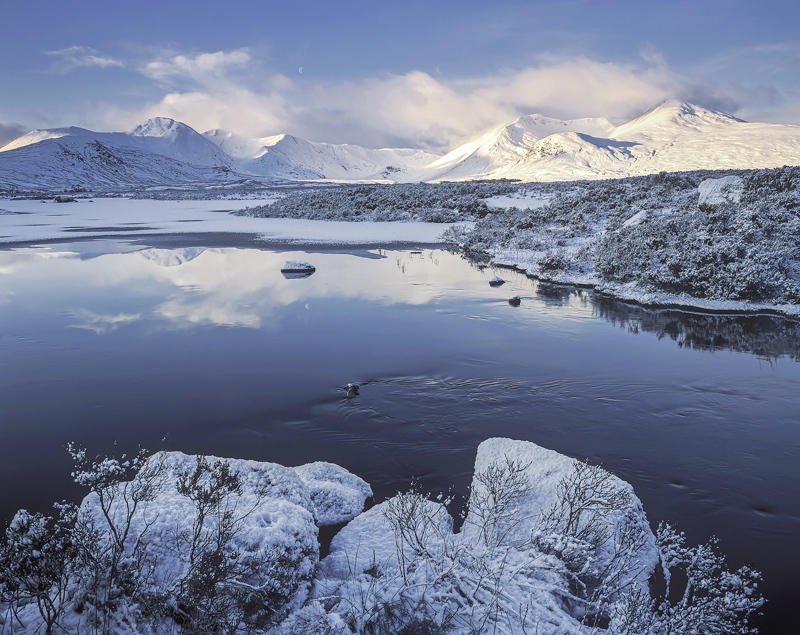 Pristine lazer clear frozen stillness and hushed awe greeted me on this incredible winter morning at Rannoch moor at the head of Glencoe. It was completely magical and I must have spent hours there feeding my hungry camera with silver laced cellulose. Breakfast, lunch in fact all thought of sustenance was set aside as I consumed this beauty with greedy fervour.